Gaze out over the Santa Rosa Sound and beautiful pool deck through floor-to-ceiling windows as you power through your workout at Portofino’s Fitness Center. Conveniently located within the Portofino Lifestyle Center, the full-service gym and fitness facility provides workout options for everyone. You’ll find all new state-of-the-art cardio equipment with personal touch screen monitors so you can watch your favorite television show or hook up your iPod to access your own workout soundtrack or videos. The fitness center also features an extensive weight room area with a full circuit of Cybex equipment, free weights, fitness balls, bars and bands to help you meet your strength training goals. 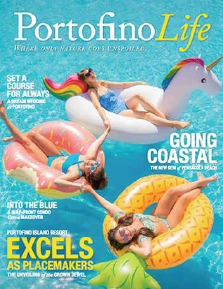 In addition to the amazing facilities and equipment, Portofino offers a variety of fitness classes including pilates, yoga, spin, spinnervals and aqua aerobics with energetic and fun instructors. Personal training is available by appointment for one-on-one training or to for special classes for groups. 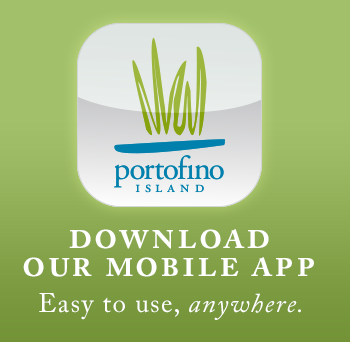 For more information, email fitness@portofinoisland.com or call 850.916.5360. Classes are available on a first come basis. Please arrive early to ensure you have a spot. Learn more about Portofino’s Fitness Director. Shoes and shirt required. Must be 16 years of age or older to enter.